A standard! Approx 3-1/4" tall. 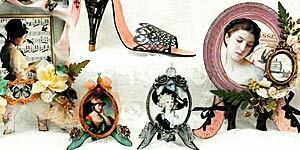 Elegant Shoes by Laura Carson; See the Supply List.